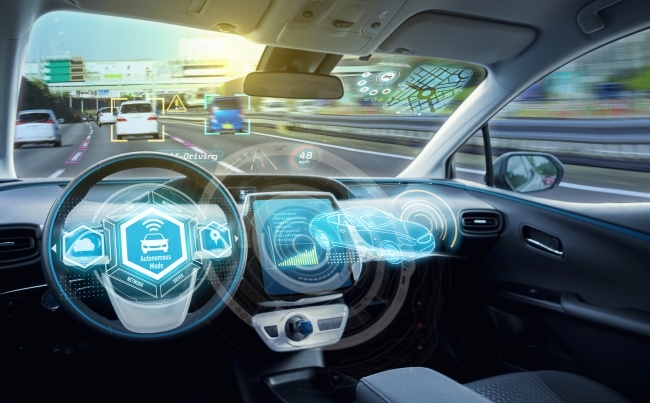 WMG, at the University of Warwick, is leading a new £11 million programme to evaluate connected and autonomous vehicles which will work with a range of partners including Highways England. It further establishes Coventry, Warwickshire and the West Midlands as the heart of connected and autonomous vehicles research and development in the UK. The £11 million Meridian 3 programme is funded by Innovate UK and brings together Highways England with Midlands Future Mobility, which is led by WMG at the University of Warwick. This addition to the Midlands Future Mobility project will enable connected and autonomous vehicle technologies, that have been developed using simulation and test tracks, to then be evaluated on roads in real-world driving situations, providing invaluable additional learning that will enable them to become a commercially viable and desirable means of road-transport. The evaluations will not just be on the exciting new technologies for the vehicles and infrastructure, but also on how the technology can be used and developed to bring new and enhanced services to drivers and passengers, and to enable such vehicles to provide a range of new services to communities and business. The current Midlands Future Mobility consortium is already delivering a full suite of urban environments, in Coventry and Birmingham, to test CAVs and their related technologies and services, in order to accelerate their deployment in the real-world, benefitting the region and UK companies. This new project extends the capability to include rural and highway environments, both of which will provide new opportunities for future CAV deployment and adoption. Business Secretary Greg Clark said: “Self-driving cars will revolutionise the way we move goods and people around the UK. These Industrial Strategy projects and investments are exciting examples of our long-term plan in action – ensuring we build on our strengths to reap the rewards as we accelerate towards our ambition to have autonomous vehicles on UK roads by 2021. “Autonomous vehicles and their technology will not only revolutionise how we travel, it will open up and improve transport services for those who struggle to access both private and public transport. WMG’s Professor Paul Jennings, and lead of the Midlands Future Mobility project added: “The development and deployment of CAVs (connected and autonomous vehicles) is led by the desire of both policy makers and the public to make transportation safer and more efficient. Innovative technology will create business opportunities for many industry sectors, including automotive, wireless communications, infrastructure and transportation.